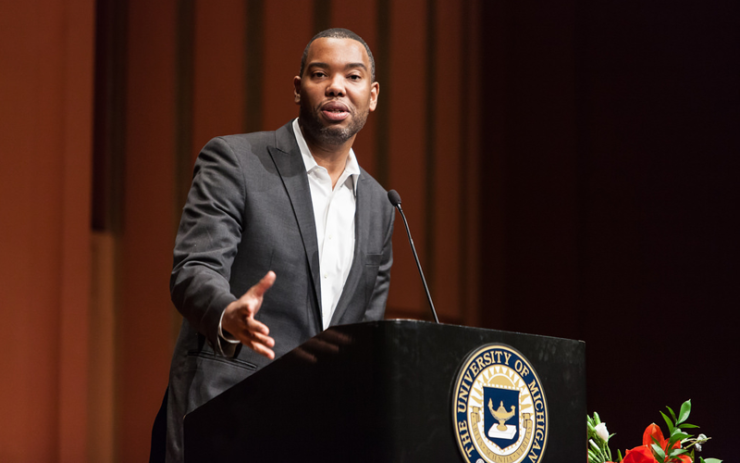 One of the most prolific authors of our time, Ta-Nehisi Coates, is back with a series of essays in his new book, “We Were Eight Years in Power: An American Tragedy.” For those who follow the MacArthur Genius and National Book Award-winner carefully though, the pieces are not new but compiled in a hardcover for your library shelf. “Eight Years” is broken down in chapters outlining “Notes” from each of President Barack Obama’s years in office. Included in this New York Times bestseller are, “The Black Family in the Age of Mass Incarceration” and “The Case for Reparations,” which won the coveted George Polk Award for Commentary. The book’s epilogue, however, is based on post-Obama years and contemplates how America came to elect its “First White President.” In this piece, now available at The Atlantic, Coates argues that a black president and racial resentment created an environment for turning over the White House based on its current occupant’s whiteness solely.